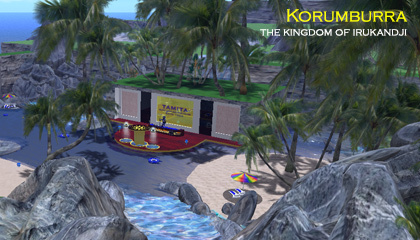 Korumburra was a half-sim in Second Life that I leased mainly for the sake of filming. While it didn't form part of the Irukandji Continent, the theme and residents were the same. 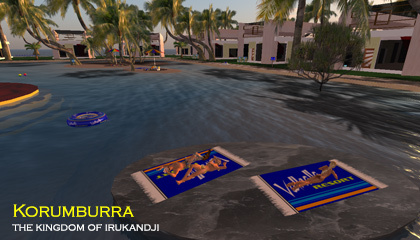 I created quite a lot of machinima and other video at Korumburra, and the parcel adjoined another one I owned atJulia Creek. Korumburra was a good place to hide while I got ready for my next big adventure. 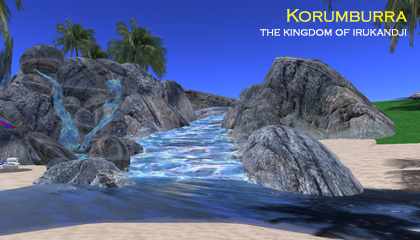 Below you will find some photographs of Korumburra. If you would like to explore more of the Irukandji continent, check out the main Islands of Irukandji page.